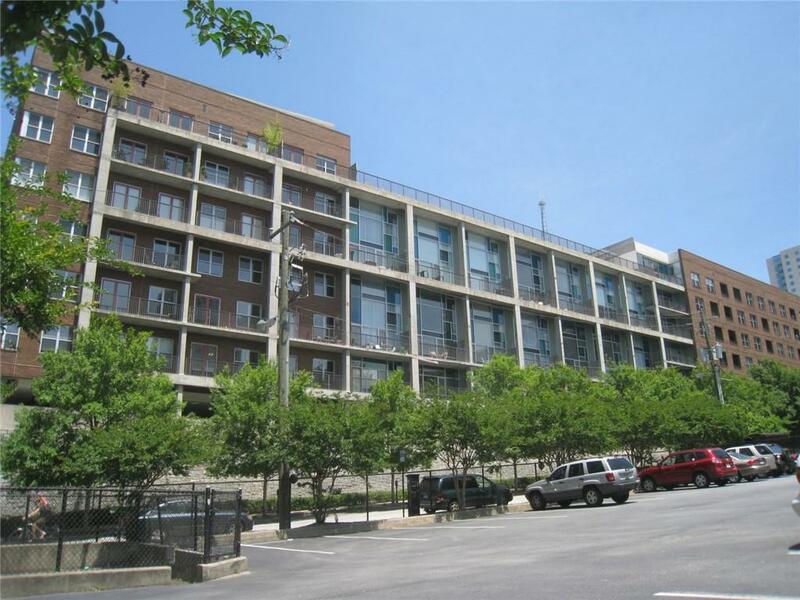 Midtown Living at its best at MidCity Lofts! This oversized 1-bedroom home will delight you with the space and concrete floors! Open Floor plan is so flexible to accomodate a home office or room for a large dining room table! 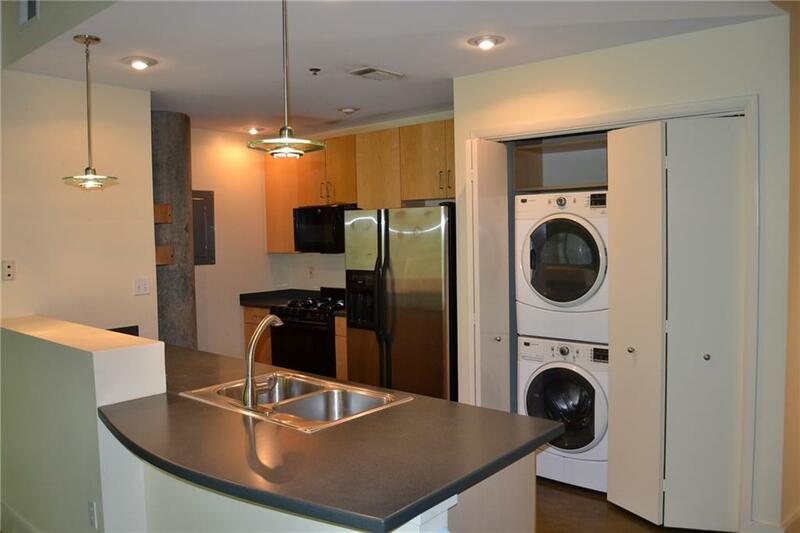 ALL kitchen appliances remain, including washer/dryer! Walk-in Closet features built-ins. Balcony is like being in a tree house during season with all the trees! 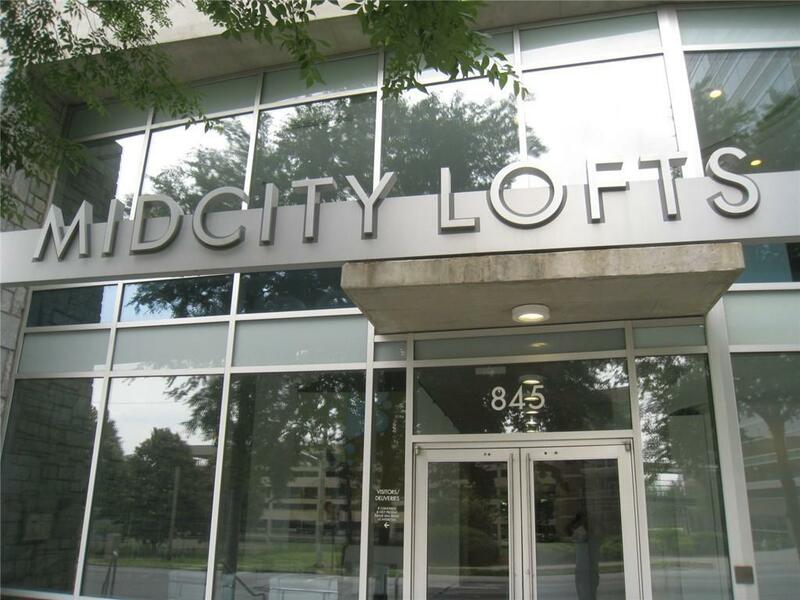 MidCity Lofts has awesome rooftop clubroom, pool and fitness center. Publix Market is just 2 blocks away, and Technology Square is right out your front door! Easy access to MARTA!